Tampa, FL – Bay Area Hoops Elite and SOH Elite came together to put give their 1st annual tournament ” Buckets in the Bay“. an event in the city of Tampa this past weekend. After roaming in multiple gyms, we had a chance to watch a few guys. Here’s what we saw. 8th grader’s stole the show! Lets start with a kid that is starting to fill out and show why he should be on peoples radar. 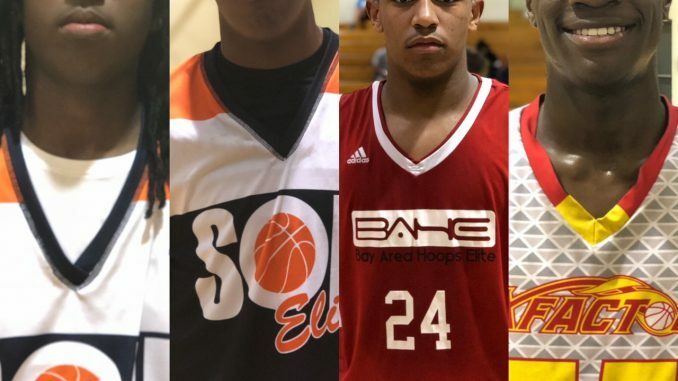 The 2022 6’2″ SG Kalab Walters os SOH Elite will start to shake heads has he continues to become a threat offensively. In our second viewing from a year ago; Walters has added parts to his game that is separating himself from his peers. I love his outlook to the competition on the court and the way he takes the challenge. The match-up between BAHE and SOH Elite was the best we saw over the weekend. Walters showed his gift in the scoring category and he’s abilities to score on all three levels. He can impact games! Never forget the need of a agile big fella; that’s what SOH Elite 2022 6’8” F/C Vladimir Covington Jr. is becoming. He’s still raw in his development but has the potential to be dominant has the years come. The young guy is hard to handle when established in the post especially with the ball up high. He knows how to show length on defense & will work hard around the rim. Covington will be a difference maker once he gets more comfortable being a first option in offensive sets. Should be a fast stock riser. Up and Coming 2022 Forward CJ Hawkins has been making waves with BAHE has of late. Growing a few more inches and standing about 6’6″ Hawkins is making the needed adjustments. He is getting comfortable becoming a threat by maneuvering and creating from the perimeter. 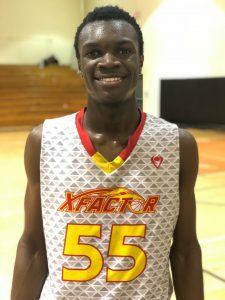 BAH has watched Hawkins since his 5th grade years and we see major improvements in his growth, aggression with the ball and his attention to details. Coach Andre Lewis makes it an effort to be very stern with the young big guy and getting the most out of him. “I’m keeping him focused and helping him to understand defenses plus how to maximize his true abilities.” Hawkins is starting to look like a future prospect. 2022 6’3” G Fahiem Meran, SOH Elite (FL) can make a team better. A two way player with arm length to turn his defense to offense. He sees the floor and plays unselfish ball most of the time. 2023 6’0” SG Karmello Branch really has a motor. His high IQ of the game helps him on both sides of the floor. Branch is learning to score in multiple ways. Look for him to make a mark this summer! 2022 SG Victorio Thompson of Five Star Athletics plays with energy and drive. Not affraid of the big shots or being the go to guy. 2021 G CJ Crews of Bay Area Hoops Elite has that it factor! The lefty is extremely deadly when he expands the floor. 2020 Charlie Morris of IMG uses his body and length to produce. He can be a help defender at times plus he brings a edge to the game. Only watched one game but we like what we saw. He’s 6’4″, will be a rim runner that plays extremely hard. Shown to the left, 2022 F Mikhail Whyte of X-Factor (FL) display a relentless effort to grab everything that came off the glass! You got to love a player who gives his all on the floor and will not complain about much, just play!